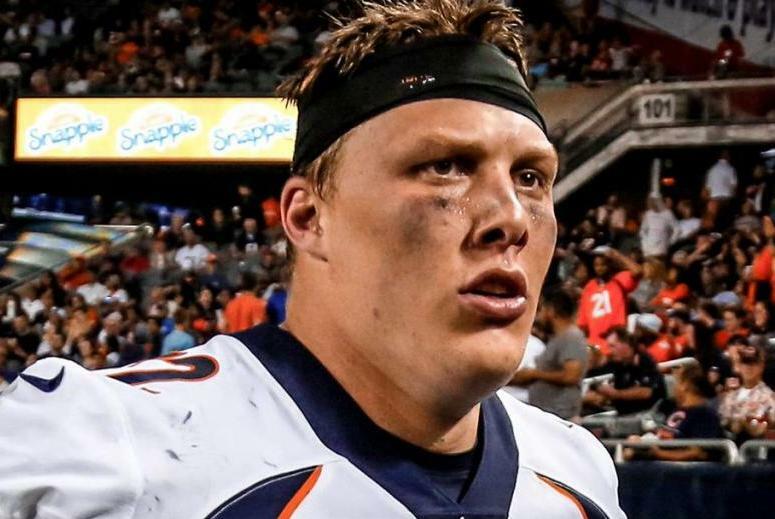 Denver Broncos starting left tackle Garett Bolles left Monday morning's practice after taking a blow to the chin and was evaluated for a head injury, multiple media outlets reported. However, he was later medically cleared to take part in the team's afternoon walkthrough, according to multiple reports. [post_ads]Jared Veldheer, acquired in a trade with the Arizona Cardinals, is expected to anchor the right side of the offensive line. Bolles is expected to be the key figure on the left side. Bolles was Denver's first-round pick in the 2017 NFL Draft, and he started all 16 games last season. Broncos linebacker Brandon Marshall also left practice after suffering a wrist injury, but Denver head coach Vance Joseph called Marshall's injury "minor." Joseph said wide receiver Corey "Philly" Brown is officially in the concussion protocol after taking a shot to the head in a weight room accident.